ANGLER has developed beautifully crafted apps for iPhone / iPad and Android environments using Appcelerator’s Titanium Studio. Appcelerator’s Titanium development framework enables developers to build rich and innovative mobile applications. Titanium helps to create high-performance and skinnable native apps without the knowledge of Objective-C or Cocoa Touch framework. 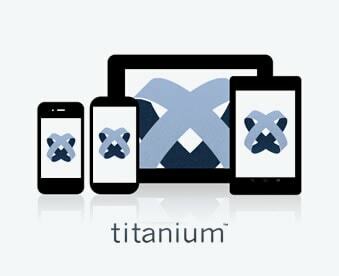 Titanium offers a vast library of features and UI objects to produce different types of interactive mobile applications. At ANGLER, we are proficient to deliver a high quality service of Titanium Framework that allows speeding up the development’s productivity while creating mobile application. Our Titanium development services also enhances the competence and scalability of code that endorse maintainability. Our mobile app developers are highly experienced to deliver high quality apps that run smoothly on any mobile device. With Appcelerator’s Titanium mobile development framework, ANGLER can take your mobile application from concept to delivery and provide you with support for data services, app tracking and much more. ANGLER’s team of Titanium developers are capable to cater to custom client project requirements. We have the highest degree confidence to deliver custom mobile app development services to our clients to their fullest satisfaction. With our Titanium mobile app development services, our clients can enjoy a gamut of benefits and opportunities to make their business even more powerful. As experts in using Titanium, ANGLER has developed beautifully crafted apps for iPhone / iPad and Android environments using Appcelerator’s Titanium Studio. We seamlessly fit within your mobile strategy to provide you with exactly what you need, when you need it and just at the right investment. Are you interested in developing a Custom Mobile Application with Appcelerator’s Titanium? Please Contact Us for more information about Mobile Apps Development using Titanium Framework and other mobile development services offered by ANGLER.